GUESS WHAT?? 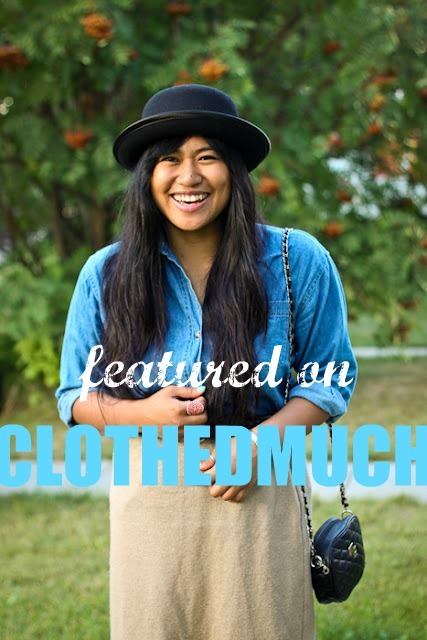 I'm featured on Clothed Much today! Elaine has been an inspiration to me and was the one that actually inspired me to start a personal style blog. I thought it was brilliant a idea to represent modesty and share ideas of how to do it with style. Dressing modestly is something I value. Plus it was a great excuse for me to start a fashion blog. hehe. Thanks so much Elaine for having me over and making my dreams come true. Stop by here and say what's up! Congrats Sherri! I love chambray shirts too! congrats on the feature! thats awesome- loved the post! I'm heading over to check it out! Good for you!! :] I can't wait to see your post over there!! That was such an awesome post on CM! Way to go!!! I saw your post the other day and it was awesome! Congrats. You have a great blog. That's so exciting! Congratulations, missy sherri!